Formerly one half of acclaimed Bristol hip hop collective Se Fire, Mistafire is back with a bag of sub-heavy yet heartfelt new material to showcase. 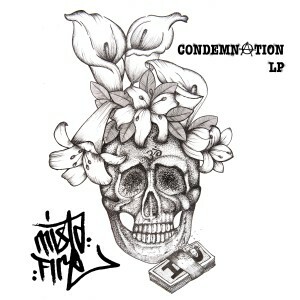 The ‘ConDemNation’ LP – all underpinned by Mistafire’s wordplay, with production that reflects the myriad sides of this complex character. From dubbed out political laments alongside festival stalwarts Only Joe, racous collaborations with all conquering Bristol hip hoppers Split Prophets, all the way through to two Interface produced monsters which bridge the gap between traditional UK hip hop stylings and the energy of the rowdiest tear out DnB. An accomplished debut solo offering from an artist ready to emerge to a next level.